Created in 1994 by Federal Cartridge and SIG Sauer, the 357 SIG has a great reputation for stopping power and accuracy. It is also a popular round in law enforcement agencies all over the US. 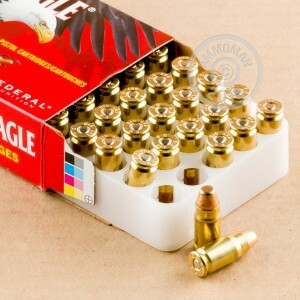 These Federal American Eagle 357 SIG rounds are the perfect rounds for practicing with your concealed carry sidearm. 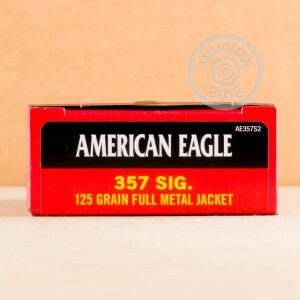 Grab a 50 round box of 125 grain FMJ 357 SIG ammo today!